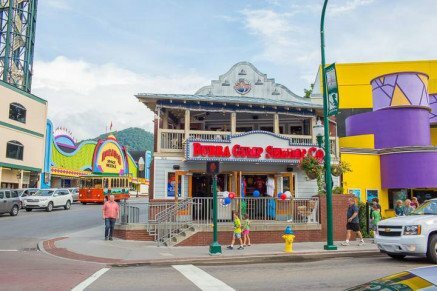 Considering Bubba Gump in Gatlinburg, TN? Read Our Review. 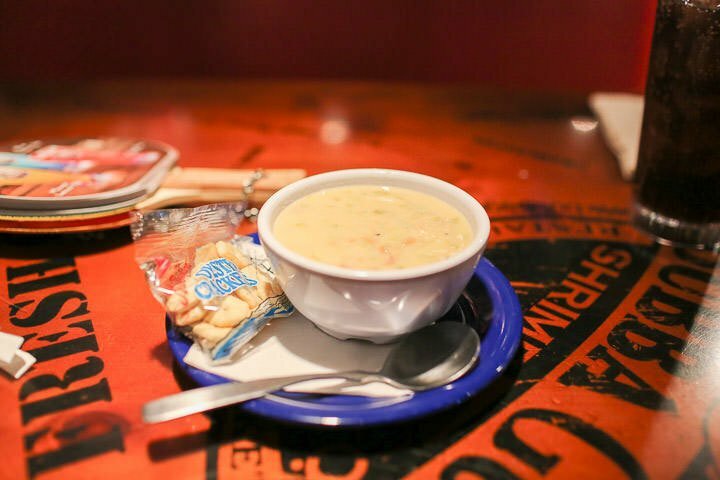 Seafood in the Mountains at Bubba Gump Shrimp Co.
Eat delicious seafood while feeling like you're on a boat at Bubba Gump's! 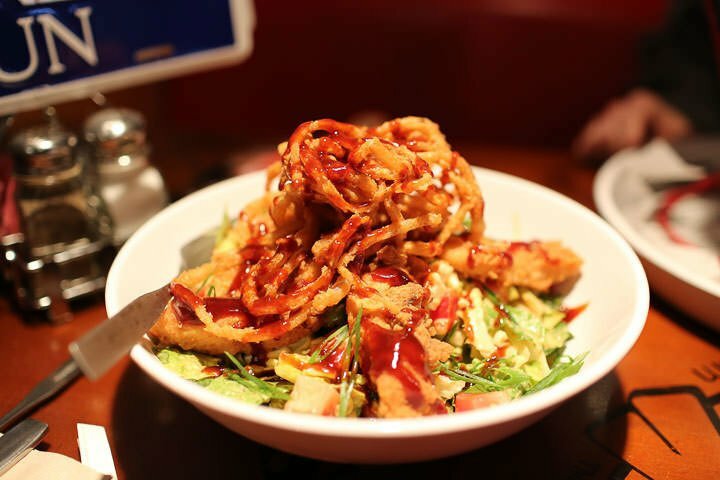 There's something that everyone will enjoy eating, and tons of Forrest Gump fun! 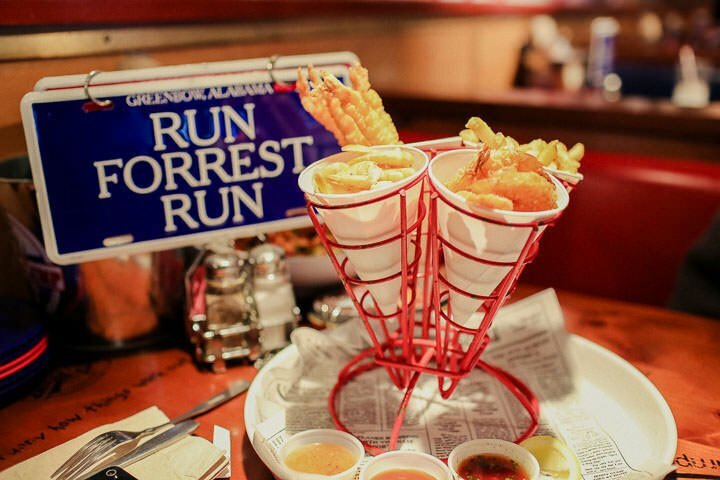 Channel your inner sailor at Bubba Gump Shrimp Co. 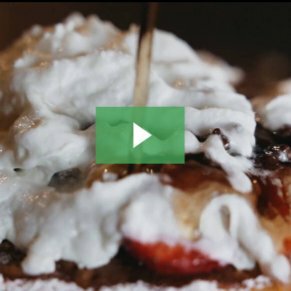 This restaurant is an idea straight out of the iconic movie Forrest Gump, and will leave you feeling as if you’ve just been hanging out with Forrest and Bubba themselves. 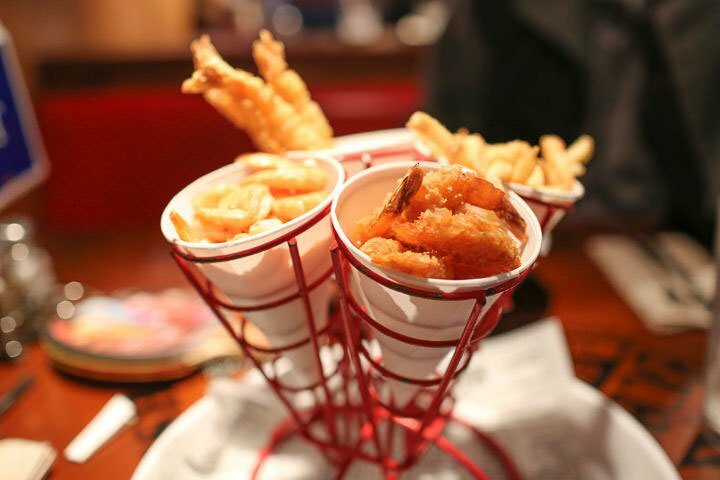 Upon stepping inside this fine eatery, you’ll forget that you’re anywhere around mountains as Bubba Gump’s takes you straight to the ocean with its beach themed decor and architecture. When we arrived at Bubba Gump’s, we were seated right away which was surprising considering how full the restaurant looked and how busy the town was that particular night. Bubba Gump’s is a long and narrow restaurant which really gives you the the feeling of being on a boat. There are windows all along one side of the building, so you can see outside. If you’re sitting on the opposite side, it’s harder to see out, but the windows are still present. Dumb Luck Coconut Shrimp: You’ll be satisfied until the last bite with this meal. Shrimp that are breaded in a coconut batter served with fries, a coleslaw garnish, and a Cajun marmalade sauce to dip those golden coconut shrimp in is what to expect with this one. This dish has a tropical freshness to it that will leave you feeling happy and full. 1/2 lb. All-American Burger & Fries: This burger will make you forget that you’re at primarily seafood restaurant. This monster burger is a huge slab of meat, lettuce, and tomato. 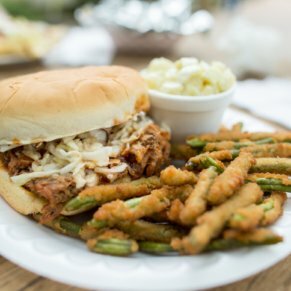 You can add cheese for an extra dollar or make it a barbecue burger with frizzled onions for two dollars. This is now one of our favorite burgers! Shrimp Po’ Boy: Freshly toasted baguette stuffed with warm hand breaded shrimp, tomatoes, lettuce, pickles, and mayo served with fries. 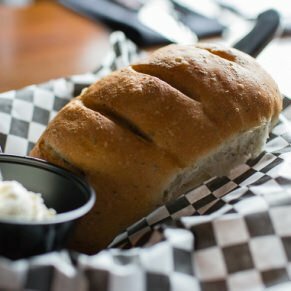 This sandwich is a favorite for many, and you’ll understand why as soon as you take the first bite. This meal brings new meaning to what a sandwich is. The servers at Bubba Gump’s are super friendly and full of Forrest Gump knowledge. Our server was laid back and joked around with us a lot. He never let our glasses get empty and was prompt when we asked him for extra things like dipping sauce for our fries. The tables have two license plates on them that can be flipped. One says “Run Forrest Run” and the other says “Stop Forrest Stop”; these signs tell your server if you need something or not. 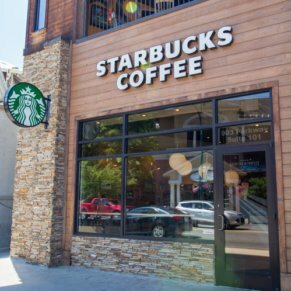 If you do need something, use the sign that says “Stop”. We never put our sign on “Stop” the whole time we were eating because we never needed to with our great server. 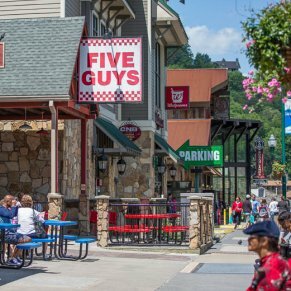 Bubba Gump’s is right in the heart of Gatlinburg, so you’ll be sure to see it if you’re walking or driving down the strip. 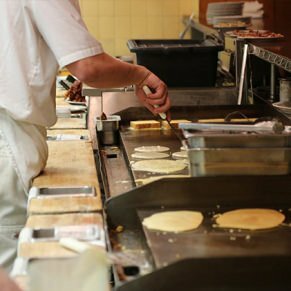 If you’re able to find the Space Needle, you’ll be able to find Bubba’s because they share a street. 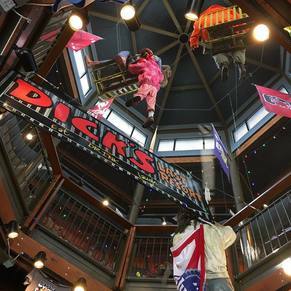 Bubba’s seating is mainly indoors, but they do have a a covered patio on the second floor that looks out onto the strip, so you won’t miss any of the action. The prices are on the higher side, but keep in mind that you’re getting fresh seafood at an iconic restaurant. 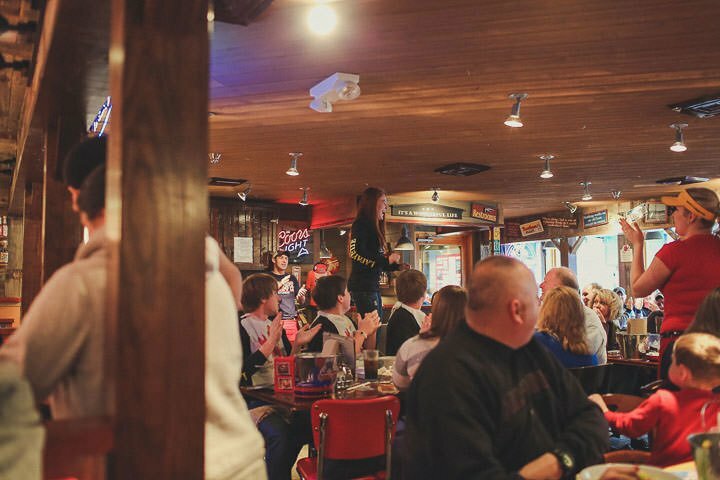 Insider Tip: Bubba Gump’s does call-ahead seating within 30 minutes of arrival, but you have to be in Gatlinburg to have your name put on the list. 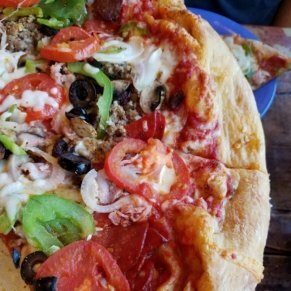 Bubba’s also has a gluten-free menu for those who require it.